We are an independent, non-governmental and non-profit organisation working for the upliftment and holistic development of underprivileged children, women and vulnerable families. Founded in December of 2003 by Cricket legend Kapil Dev, KHUSHII is currently working in 6 states in India reaching out to 28,000 children and impacting lives of more than 5 lakh in the communities in their fight against poverty, abandonment and social neglect. The flagship programme ‘Shikshaantra Plus‘, endeavours to bring the learning levels and infrastructure of Government schools at par with other schools by providing Remedial Education to students, strengthening teaching capacity and enhancing engagements with parents and communities.Our ‘Complete School Transformation’ model in collaboration with State Education department improves the schools through remedial education, improving Water Sanitation and Hygiene (WASH), digital learning and Science Technology Engineering and Maths(STEM) education, sports and recreational facilities in school. KHUSHII in its endeavor to integrate communities with development of school initiated the programme ‘Shiksha aur Vikas’ in nearby communities. The programme works on the aspects of Adult Education and Life Skills, Health and Sanitation, Financial Inclusions and Economic empowerment through Skill Development and Livelihood. Children need to dream. They need to learn. They need a full stomach. I am extremely happy to know that Khushii enables this process through its education programs and schools by the name of Shikshaantra. 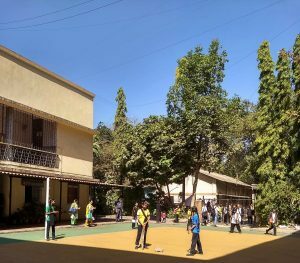 I have been witness to Khushii’s growth and expansion for over a decade now, today we can proudly say we have changed the lives of 20,000+ children. The cause will have my support for many more years to come. A unique way of raising funds, the concept of Collaborative Painting is a great idea to bring business and art together for a noble cause. 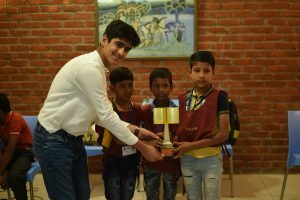 You get to take home a beautiful work of art, a constant reminder of the lovely Khushii children for whom we together are building a brighter future. The success of this initiative has stood the test of time and I congratulate Khushii for keeping it going. Khushii will always have my support and I am sure that it will continue to flourish and benefit the society for all the years to come. Each and every one of its initiatives is well tailored to address its goal, and the team comprises of people who truly relate to the cause and are immensely dedicated. Want KHUSHII newsletter in your inbox? Sign up for your email updates to receive news, features, and opportunities to make a difference!